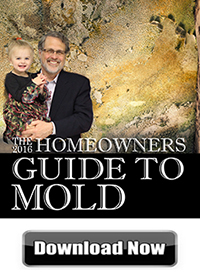 Mold is a naturally occurring substance with a consistent presence in the environment. When airborne mold spores find favorable conditions, they will quickly form into mold growth. 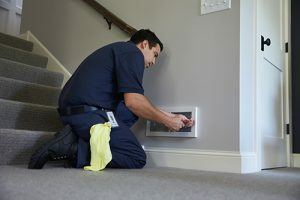 Sometimes mold spores might find favorable conditions in a home or building and when this occurs, the results can be very damaging. Mold growth indoors can cause extensive property damage and the spores will not only spread the growth further, but also cause health problems from allergic reactions to serious infections. If the mold growth has affected an area bigger than 10 square feet, a certified mold remediation professional must be called to remove it. 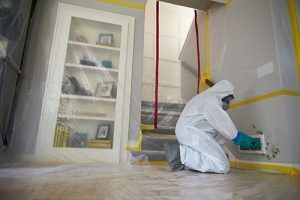 ServiceMaster NCR provides mold removal and remediation services in Washington, DC to locate and remove all mold growth from homes and businesses. We are among the very best in the mold remediation industry with our highly accurate InstaScope testing and innovative Trifect mold removal method. Any significant mold colony in your home or building requires immediate attention. Mold can spread fast and it attaches itself to surfaces that contain cellulose such as wood and drywall. Cellulose is a common food source for mold and because mold literally eats away at the surfaces it affects, it can eventually destroy these surfaces. The potential health effects of mold should never be overlooked either as exposure to the spores can lead to various allergic reactions such as stuffy nose and skin and eye irritation as well as serious infections. Our technicians understand the danger mold poses to health which is why we protect ourselves with personal protective equipment (PPE) while we work. 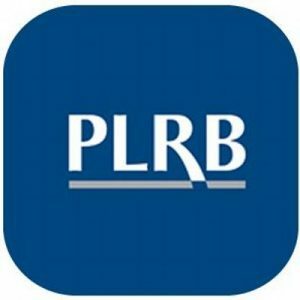 – We get a baseline measurement outside the home or building of the airborne mold level. – We test every room and compare the results with the baseline measurement. – Rooms with high readings are retested to find hidden mold. – Surface Application: We treat visible mold growth with a proprietary topical solution. – MAG 50: We remove hidden mold growth with submicron aerosol decontamination. 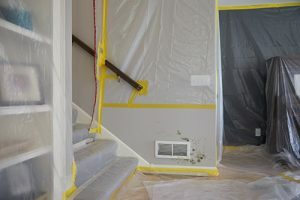 – Post-Testing: Once the mold remediation is complete, we will test the home or building once again with InstaScope to ensure there is no mold left behind. Mold is a troublesome presence in any home or building because of the property damage and health issues it can cause. If you find mold in your home or building in Washington, DC, do not hesitate to call ServiceMaster NCR at (703) 212-7000 for mold remediation. We will thoroughly remove all mold growth and save you money with our accurate testing and Trifect mold removal method.